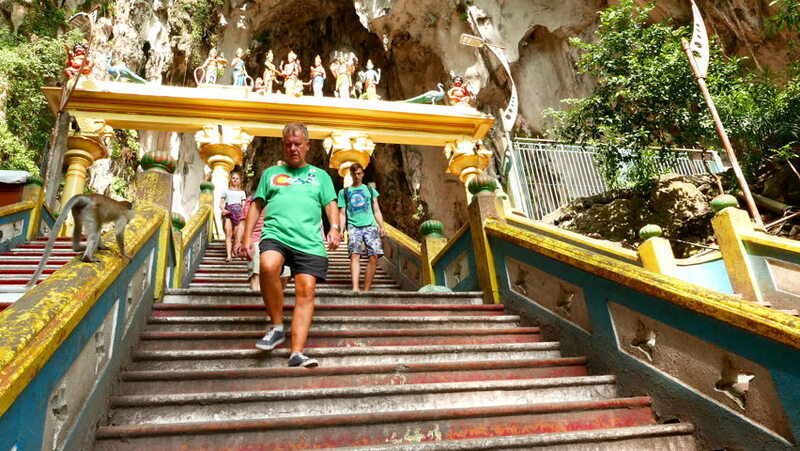 KUALA LUMPUR, MALAYSIA - MARCH 30: View of visitors pass by on the stairs outside of the Batu Caves on March 30, 2016 in Kuala Lumpur, Malaysia. hd00:15KUALA LUMPUR, MALAYSIA - MARCH 30: View of visitors pass by on the stairs outside of the Batu Caves on March 30, 2016 in Kuala Lumpur, Malaysia. hd00:15KUALA LUMPUR, MALAYSIA - MARCH 30, 2016: View of visitors pass by on the stairs outside of the Batu Caves on March 30, 2016 in Kuala Lumpur, Malaysia. hd00:10KANCHANABURI, THAILAND - DECEMBER 4 : People travel and walk on Saphan Mon wooden bridge at Sangkhlaburi on December 4, 2015 in Kanchanaburi, Thailand. 4k00:24UBUD, INDONESIA - APR 19, 2016: Traditional Balinese architectural constructions with rice straw roofs and people in white clothes watching it. Gunung Kawi Temple Complex, Bali. Camera zooms out. 4k00:11KUALA LUMPUR, MALAYSIA - CIRCA FEBRUARY 2018: Time-lapse view on visitors as they pass by at the Giant Lord Murugan Statue in the Batu Caves circa February 2018 in Kuala Lumpur, Malaysia.